MOHSIN HAMID is the author of three novels. His latest novel, Exit West, has been short-listed for the 2017 Man Booker Prize. Moth Smoke, his first novel, was a Betty Trask Award winner, PEN/ Hemingway Award finalist, and New York Times Notable Book of the Year. 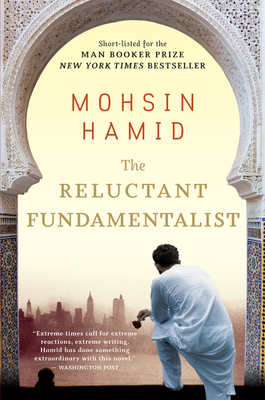 His second, The Reluctant Fundamentalist, a bestseller in the United States and abroad, was also short-listed for the Man Booker Prize. Hamid’s writing has appeared in Time, the New York Times, and other publications. Barrington Books, voted BEST INDEPENDENT BOOKSTORE by Rhode Island Monthly, is known far and wide for its knowledgeable book-loving staff, vast selection of high-quality books, toys and gifts, as well as its vibrant community events. Barrington Books Retold is our new second location in Garden City Center is also known for all of the great things listed above and more!